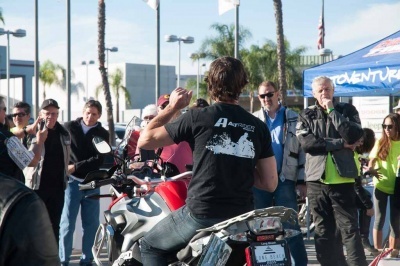 AltRider President Jeremy LeBreton recently traveled down south to Southern California for a pre-holiday visit! Jeremy stopped by Long Beach BMW Motorcycles to lend support for their annual Customer Appreciation Breakfast. Long Beach BMW is one of the top BMW dealers in the nation, and along with selling a ton of bikes they make a point of educating their customers by bringing in guest speakers like Jeremy. Here at AltRider we’re in total agreement with that philosophy. 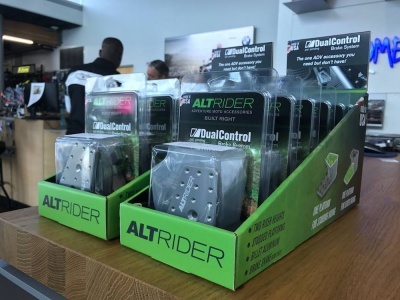 For this event, the dealership worked with us to fully outfit two brand new bikes wheel-to-wheel in AltRider parts, showcasing to customers the full line available for purchase. 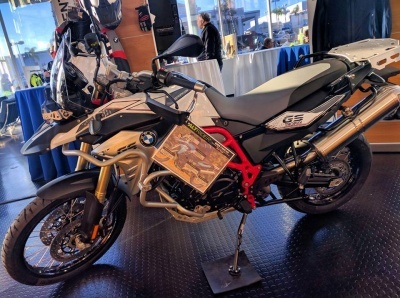 We arranged to outfit an F 800 GS and R 1200 GS with AltRider skid plates, crash bars, headlight guards, radiator guards, luggage racks and DualControl brake systems. Jeremy saw this as an excellent chance to come and speak to the motorcyclists in attendance about his experience in the ADV world and the importance of bike setup and ergonomics. More than 300 people gathered at the dealership that morning of November 19th. 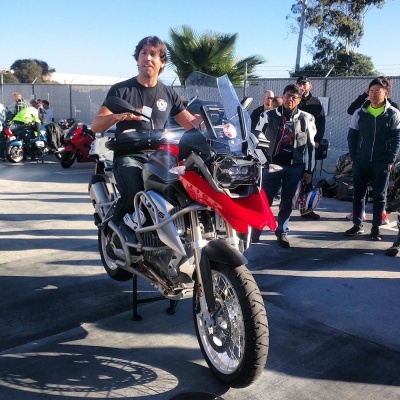 As the Long Beach Fire Department cooked up a pancake and sausage breakfast, Jeremy hopped on the decked out R 1200 GS and began delivering helpful tips for road and off-road riders alike. Jeremy discussed everything from the proper PSI levels when transitioning between riding surfaces to minor bike adjustments to alleviate the most common causes of discomfort. With over 12 years of intense riding experience and 80,000 miles ridden, Jeremy’s goal is to constantly educate others that are looking to venture into the ADV lifestyle. After the demonstration was over, Jeremy was able to answer several questions from the crowd and speak about what makes Altrider so unique as a brand. After a quick pose with Santa (Long Beach BMW salesman and overall ADV badass Owen B. ), Jeremy was off to the nearby Long Beach Convention Center for the International Motorcycle Show to see the latest and greatest and catch up with friends.